LotusTalk - The Lotus Cars Community > Lotus Discussions > General Discussion (Lotus related) > Post your track videos here! 2007 Canyon Red Exige S w/"extras"
Last edited by Fireball; 10-24-2018 at 08:38 PM. Just got back from Buttonwillow 13CW with SpeedSF where I dropped 2 seconds off my personal best with a 1:56.56. There is likely more time to be had in cotton corners, the bus stop, riverside and over phil hill. Hopefully I'll have some aero bits installed by the next time I return to Buttonwillow. A few laps from Lime Rock Park chasing my buddy Mark in his Rev400 powered S2 in my Rover powered S1.. Probably the UK's nearest equivalent to an Autocross course? I should probably also thank my wife (the passenger) for joining me, too! It made the 9-hour tow much more bearable (mostly). Good job Phil! You did especially well given this was your first time on that track....it is very technical. All you need to do now is put some better rubber on your rocket.....remember, life is too short for R-comps. It was a pleasure meeting you and hope to see you out at Spring Mountain again ...soon. First time running the cyclone configuration at ThunderHill. Holy crap, nice lap! Great driving. You seem to be carrying a lot of speed into those turns, what kind of tires are you on, or do you just have a lot more guts than most people? RE71Rs, 205/50/15 on 15x8 up front, 245/40/17 on 17x9 out back. Lots of work on suspension setup and tinkering with settings... maybe an unhealthy amount of guts while out on track. I had a good pucker moment during one of my hop laps after I encountered ice-mode approaching the cyclone apex at the top of the hill. Seems like there's still a fair amount of time (1/2 second?) to be found at T9, not carrying enough speed through the apex and tracking all the way out to the curbing on the right. My last session at Barber Motorsports Park during a HPDE with Just Track It. This is the combined Intermediate 2 (me) and Advanced to finish the year. 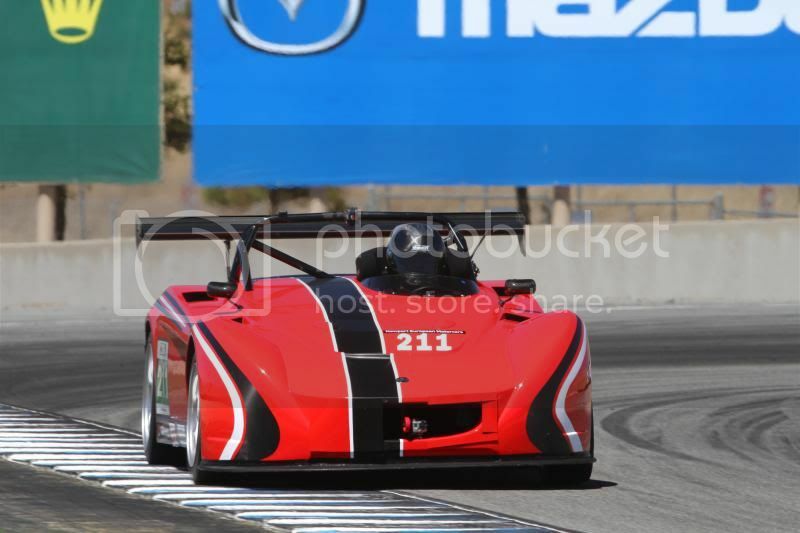 My fastest lap during Race 1 of the inaugural SM Sports Car Race Series-- it turned out to be the best lap for all sports car competing during the race weekend. Also, it was a PB for me in the Exige. I did turn a 2:24.99 in my 2-Eleven back in 2016 with a built BOE motor, which can be found in my video library. Every time I look back on one of my videos, I see much room for improvement and this PB lap is no exception. Still working on my nose cam setup. Want it high enough so that it depicts the speed seen at the base of the windshield. New(er)/smaller/lighter camera with image stabilization helps with the not-so-rock-solid mounting using the front fastener location of the passenger side access panel. But lots of wind noise, so some alternative microphone setup is needed. 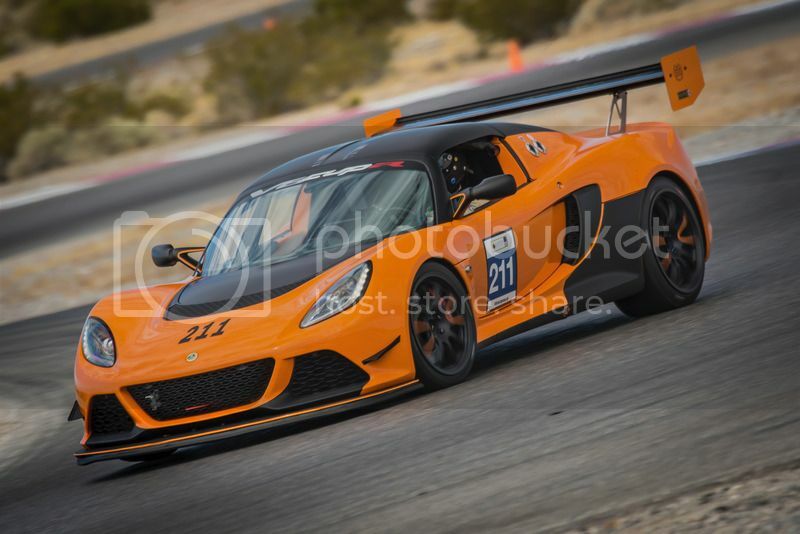 This is Chuckwalla last month. Last edited by Fireball; 02-15-2019 at 12:25 PM. OK here are a couple from SCCA track night in America 2-19-19. The Caterham really turns fast! Smokin! Ha funny that a time about 5sec faster than me looks like 20sec faster. Would love to see telemetry on the screen too! Looks like fun for sure! Edit: oh you have not run 1:15 yet.. well good luck let us know how it goes! Last edited by EricH; 03-17-2019 at 01:40 PM. Posting this primarily as motivation. In 2018 I only made it to a track a couple of times. I am getting very rusty and I plan on practicing left foot braking going forward which has a learning curve. This video is a collection of my best lap times at the track I frequent the most. See Video's description for more details. Last edited by EricH; 04-10-2019 at 05:22 AM. Yeah in this video I run 15.91 and on Sunday I ran 15.2, I think I could probably do a 14 if I had more laps. Still only have 100 there.